Don’t let the “paleo” label scare you. I stayed away from it too at first thinking the food wasn’t going to be good or because it is soooo healthy it can’t possibly taste better. I am not on the paleo diet. I think of my diet as more in terms of the things I do eat instead of the things I don’t eat. As with most diets, there is a host of pros and a list of cons even with the paleo diet. I try not to stick to anything really except make sure it’s real food. Pretty much covers anything from the French paradox to the tribes around the world with exceptionally limited diets (but it’s real food). This dish was fast, simple and delicious. The photo looks a little overdone because my probe thermometer stopped working while cooking. So, it went over. 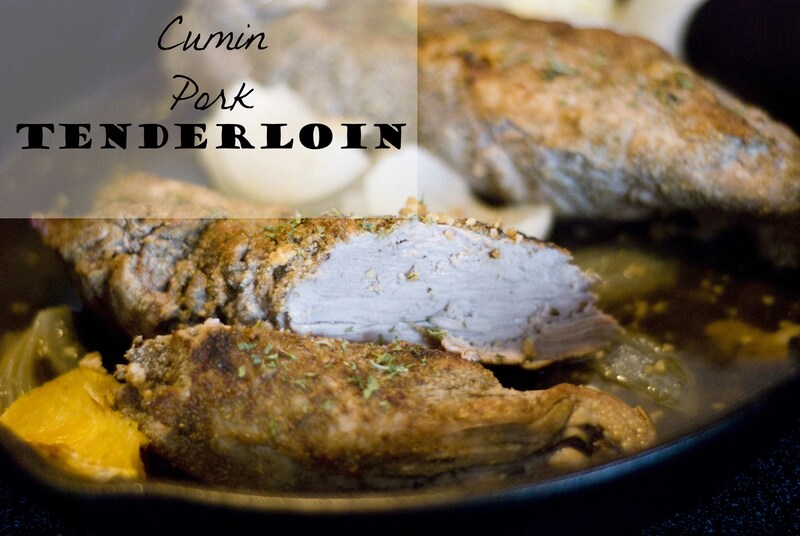 Any pork tenderloin dish is welcome here in our house. First, the meat is $2.99/lb at Costco. Second, you can season it with whatever you want. Third, it requires little active time in the cooking process. Setting a probe to beep at you at 140 or 145 degrees is all you need to watch the tenderloin. Why such a low doneness temperature? I confirmed the USDA allows 145 degrees for pork. 1. 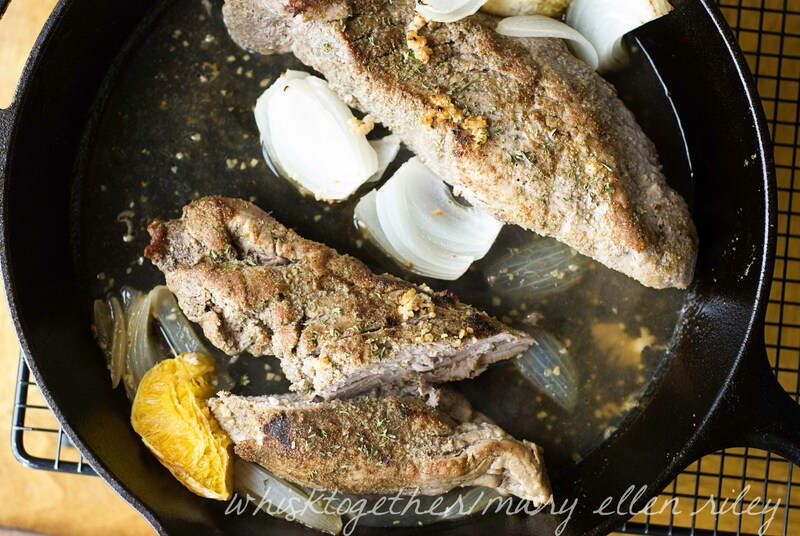 Get out a 12″ cast iron skillet or another large skillet that is oven proof. If you have a 10″ cast iron, this would fit in there because the meat will contract. 3. Mix up your seasonings in a small bowl: cumin, coriander, garlic powder, salt and pepper. 4. Pat dry the tenderloins and rub the spice mixture on. 5. Heat your skillet to medium high with the fat or oil inside. Sear all sides of the tenderloin. 6. Add your onion, parsnips, and orange to the skillet. Throw it all into the oven and bake. My temperature probe goes off around 25 minutes. When checking for doneness, remember that pork is still a little pink at the “done” temperature of 145 degrees.